In accordance with the Declaration of Paris during the International Solar Alliance of the 30th November 2015, the Prime Minister of India, Narendra Modi, takes over the reins of the energy revolution in the country. The ambitious goal is to achieve the production of 100 GW of solar energy by 2022, out of a total of 175 GW that the country plans to produce from renewable sources. The data speak clearly. The Indian market is not only flourishing. India is competing to become a leader in the solar market and overcome China and the US. There is no doubt for the head of the Indian government. The main aim is to make solar energy one of the main sources of energy production in the near future. According to IHS Markit, with 11 GW, India is destined to become the second largest solar photovoltaic market in 2018, usurping the United States. The global demand reaches 113 GW this year and according to the same forecast, the fourth quarter will be the largest in the history for the installations, with 34 GW expected. 2017 was also a fairly important year for the photovoltaic industry with an addition of 5525.98 MW in terms of photovoltaic energy production capacity. This is a result of the government chaired by Narendra Modi, which shows that not only is there a moral compromise with what was promised at the Paris Climate Change Conference in 2015, but real efforts to ensure a green future to the country. In fact, the country’s commitments have also been renewed at the first summit of the International Solar Alliance held in New Delhi in March 2018. The event brings together 121 countries engaged in the debate for the promotion and exchange of technologies for solar energy production. India is accelerating the development of projects in the renewable energy sector, to provide affordable, reliable and clean energy to its 1.3 billion people. The Ministry of New and Renewable Energy (MNRE) stated that the country generated 12,973.6 kWh from solar power, in the financial year 2017-2018. To achieve this, a series of strategic actions have been lately adopted: incentives based on energy generation, capital and interest subsidies, subsidized loans and tax incentives, regulations regarding the quality of the installations. – The government has issued guidelines for the supply of solar and wind energy through competitive auctions and has extended the renewable purchase obligation (RPO) until 2018-19, also notifying the standards for the implementation of the plants PV. – The Solar Photovoltaics, Systems, Devices and Components Goods (Requirements for Compulsory Registration) Order was issued in September 2017. It is a regulation that sets the minimum standards to guarantee the quality of photovoltaic instruments in the Indian market, including the aspects of manufacturing, storage, sales, distribution. 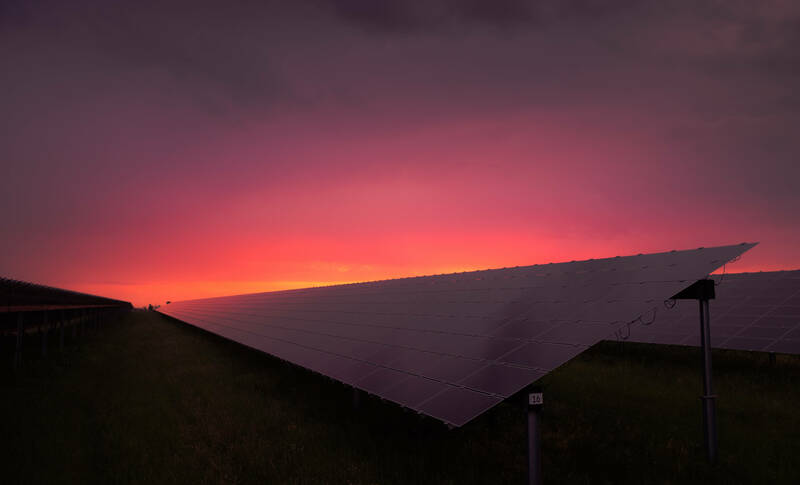 – To encourage domestic production, the MNRE provides a series of incentives that also include national aid for the production of the solar system. These are the necessary measures to reach the ambitious goal of 175 GW, set by 2022. Poor quality of installations may pose serious challenges in the future. For example, improperly sized glands can allow water in or a broken cable could melt the roof, not to talk about the system performance degradation issues. 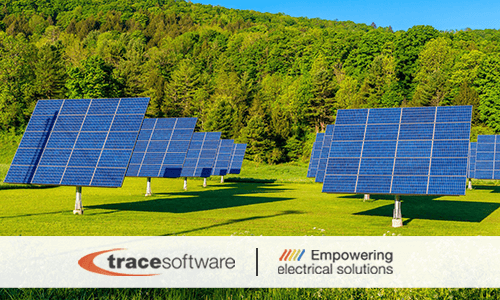 Trace Software International can help with the management of the entire photovoltaic installation thanks to the archelios™ suite. This software solution enables feasibility study, bankability, 3D design, to the compliance and calculation notes, right up to the operation and maintenance management. elecworks™ is an electrical CAD software for the design of automation projects and electrical installations. 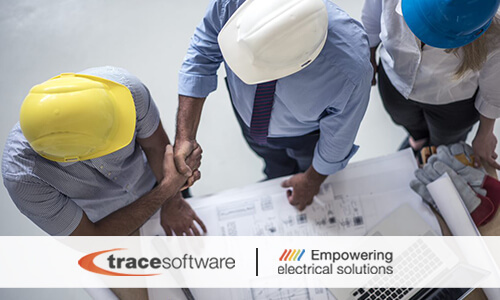 Since 1987 Trace Software International has been a global leader in the development of software solutions (CAD & CAE) and consultancy services for the industrial engineering, with unique expertise in the design of electrical installations. Why electrical professionals choose elecworks™? elecworks™ is easy to use and intuitive. This software adopts the standard of Windows, including a multi-level UNDO/REDO button for all the features. Also, in the boards of commands, assistance and controls parameter are available. You can save time, avoid the hassle and focus on the electrical design. Many are the features that make elecworks™ a smart design tool, with an overall unmatched automation level. You can generate electrical schemes through an excel file or use a macro. Macros enable creating a set of functions or types of processes which are reusable. Save design time and increase your productivity thanks to this project standardization functions which also avoid error occurrence. The innovative wiring diagram is a unique feature of elecworks™. This application allows describing the installation through the logical diagram representing the different equipment and the links between them. The description via the synoptic allows to quickly define the equipment and cables and can also be used as a cost estimation tool for a project. Real time multi-users platform dramatically improves the time- to -market, as it allows to work simultaneously while all changes and their derived automation are visible in real time by all members of teams. 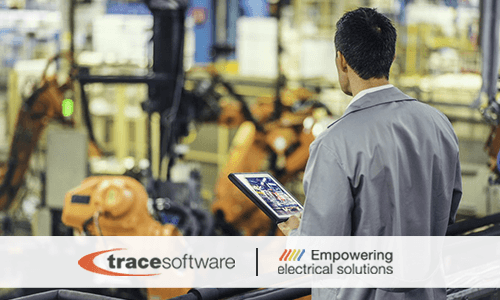 Trace Software International’ Electrical Content Portal is directly accessible through elecworks™ software. Linked to a world-leading digital engineering 3D content company – Trace Parts, it represents the worldwide renown leading platform with the most comprehensive database of manufacturers certified data. 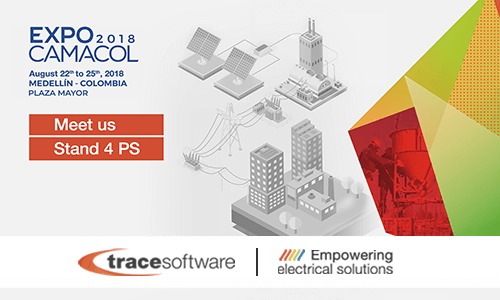 The consistency of data is guaranteed throughout the electrical project thanks to the digital model of the installation, which is basically a database that contains all the information of the installation, from the symbols and links to the complete description of the components and cables. This information is available in real time and for all the users. Quality documentation in multiple languages. During the electrical design process, elecworks™ alerts the user whether an error is detected, to avoid unexpected expenses. The performance of your project is enhanced, and the accuracy of the design empowered to provide a project as close as possible to the production conditions. This electrical CAD software is available in 14 languages. The integration with 3D CAD platform (PTC CREO), ERP and PLM (PTC Windchill) software make elecworks™ a comprehensive software solution for industry professional who is looking to improve their strategic positioning in the market. elecworks™ adapts to your own workflow. Plan your own electrical design project. You can start at any stage of the project, decide who is going to collaborate and where to allocate your resources. elecworks™ is a functional and flexible software which enhance the engineering project by helping avoiding bottleneck in the process. Personalization. You can create customizable documentation as the BOM, thanks to elecworks™ SQL database engine. Add queries, filter, customize your documentation, select the information you need, and create templates in with just a few steps. It is easy to get started. You can ask for a trial version HERE.